Copy limits to new flavour gateway (SFE-C & D). Amend product limits per filter. In TT User Setup control panel, click | User Admin | Product Limits. Filter Gateway column = SFE. Click ‘Mass Copy to Other Gateway’. In the 'Select Gateways' window that appears, highlight ‘SFE-C’ and click ‘Select’. A ‘copying product limits' window appears, when this closes you will see SFE-C for the copied limits. In the TT User Setup control panel, click | User Admin | Product limits. 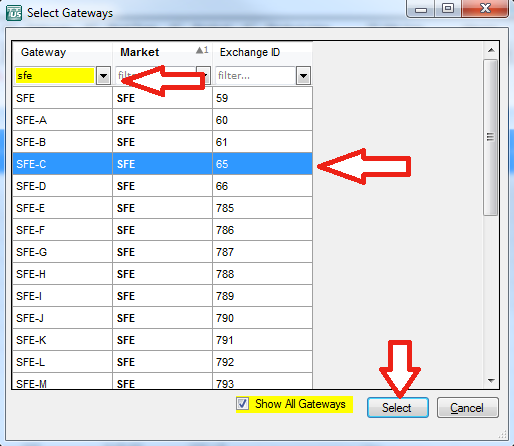 Filter ‘Gateway’ = SFE-C ← make sure you select SFE-C, otherwise you will change their current production limits! Filter ‘Prod Type’ = FUTURE. Filter ‘Product’ = AP (or applicable code). CTRL + A to select all records (all entries highlight in blue). Click 'Ok' in the message that pops up saying that you are going to edit multiple accounts. 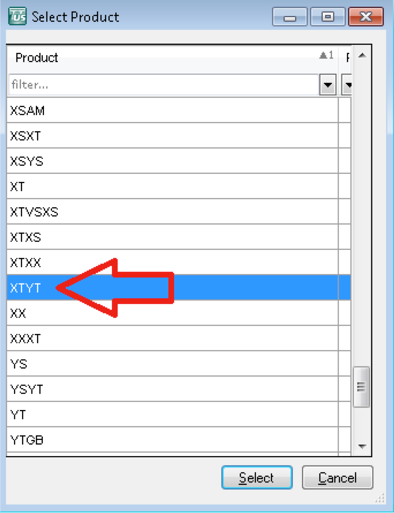 Select the relevant code (e.g., XTYT). Notice, there is no SFE in front of the new codes.